Menlo Park, California, 2018-Apr-10 — /EPR INTERNET NEWS/ — HomeOpenly continues to leverage the latest Internet technology in its effort to make real estate process less costly and more transparent. With its latest release HomeOpenly aggregate savings database now outperforms aggregate savings offered by the Redfin Corporation, a well-known online savings broker. HomeOpenly now advertises savings for more than 147 Million residential properties across the United States. HomeOpenly works to transform real estate process with an OPEN Marketplace as the first platform of its kind to advertise closing costs savings to consumers without referral fees. The final output for its service are widely-accepted, current and fluid real estate closing commission rates and services defined by local competitive markets. HomeOpenly is estimated to help save US residential real estate consumers anywhere $10-15 Billion each year in closing costs by allowing competitive local real estate agents an opportunity to fairly represent a much greater number of real estate consumers nationwide. The start-up operates an algorithm that is free from the influence of any referral fees revenue – all local results provided to users always match their best options. With its platform now successfully running on a national scale, HomeOpenly becomes a cost-saving alternative to referral fee brokers, such as Redfin. HomeOpenly actively advertises actionable and current savings in all 50 States. HomeOpenly allows real estate agents to comfortably participate in an OPEN Marketplace and to advertise competitive commission rates, service levels for a specific transaction price range, flat fees, quickly opt-in, or modify service advertisements at any time. Home buyers and sellers send their own leads requests to agents they like and HomeOpenly forwards these leads directly without any middle-man fees involved. These features, together, make up for the best and the most effective platform for home buyers and sellers to find and connect with competitive local agents for their real estate transactions. HomeOpenly is the first online platform rapidly allows real estate agents across the United States to effectively compete locally on 0% referral terms. HomeOpenly is built to advertise savings, however, the platform does not lock anyone into any referral agreements or specific rates, instead, competitive market guides the process. HomeOpenly acquires organic users with local search index results and generates revenue with independent advertising, real estate data analysis and optional premium services. HomeOpenly is maintained in the heart of Silicon Valley as an Internet platform designed to promote lower cost of homeownership in the United States by generating an unbiased real estate match experience for all users. 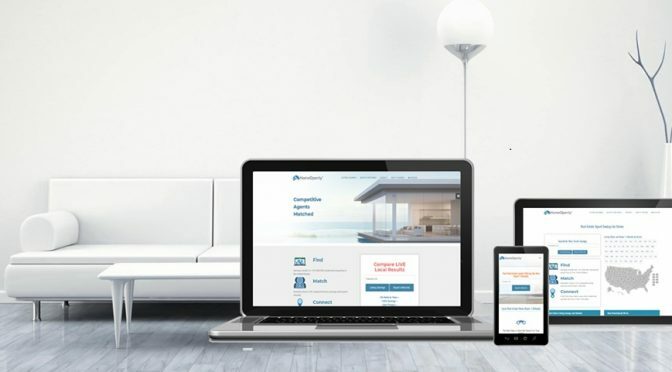 The service operates on its patent-pending model that allows users to advertise and receive the best local real estate agency savings information absolutely free. HomeOpenly can easily be found online at (https://homeopenly.com).